With a history steeped in agriculture and energy production, the Western Downs is an integral part of Australia’s landscape. Yet this picturesque region, three hours west of Brisbane, offers much more than solar and sorghum. 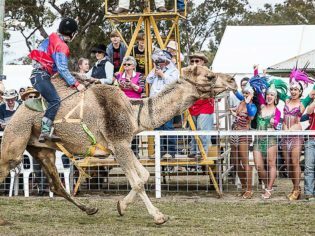 From opera to watermelon skiing, the Western Downs has a reputation for hosting fantastic, not to mention unique, events. In fact, with so many scheduled in 2019, it has been dubbed The Year of Festivals. In its second year, Big Skies will celebrate the region’s sights, sounds, tastes and experiences from Saturday 27 April to Sunday 5 May. 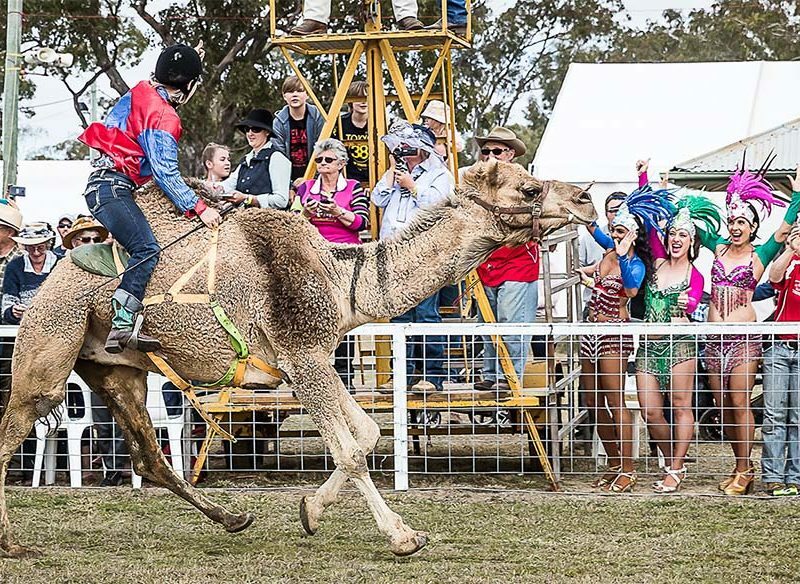 Kicking off with the Dalby Picnic Races, events include tours of majestic Jimbour House; the Dalby Saleyards Tour; the Outdoor Cinema, complete with incredible starscapes; the popular, and delicious, Long Lunches; and open-air rock concert Day on the Plain. Delivering the best Aussie rock west of the Great Divide, the concert will feature stars such as Jon Stevens, John Paul Young, Ross Wilson, Pseudo Echo and Deni Hines. They’ll be joined by thousands of music lovers in the shadow of Jimbour House, one of Australia’s grandest colonial mansions. For something sweeter, the 25th biennial Chinchilla Melon Festival is a fruity mix of parties, parades and pip-spitting competitions from Thursday 14 to Sunday 17 February. A visit to the Big Melon is a must. The iconic Opera at Jimbour on Saturday 27 July, with its breathtaking backdrop, is the perfect excuse for a picnic in the winter sun. Similarly colour and cuisine make for a long weekend to remember from Friday 2 to Sunday 4 August, both on and off the track, at the Tara Festival of Culture & Camel Races, while Dalby’s Delicious and DeLIGHTful festival on Saturday 17 August is just as it sounds – throw in a spectacular lantern parade, markets and family-friendly entertainment for good measure. With The Year of Festivals now in full swing, why not take the time to discover why the Western Downs is the place to live, work and play? Visit wdrc.qld.gov.au for more information.